B-Side Blog is a Los Angeles-based pop culture site that focuses on TV, Food, Drink, and everything in between. The site won “Best TV Blog” by LA Weekly in 2013, listed on Say Media’s “Say 100” list of online “voices that matter,” and ranked #1 on Web100’s list of “the only 3 TV blogs you’ll ever need.” Additionally, The Wrap ranked the site’s Twitter account (bsideblog) as one of the “50 TV Insiders to Follow Right Now,” and Blogs.com called the site “genius” (yessssss). Ben Mandelker (B-Side) is a screenwriter currently living in Los Angeles. His pop culture observations and multimedia creations have been cited in Entertainment Weekly, US Magazine, The New York Times, Gawker, Jezebel, Details Magazine, MSNBC, The Associated Press, FoxNews.com, PerezHilton.com, The Week, Spin Magazine, USA Today, The Washington Post, The Houston Chronicle, and TV Week among other media outlets. Additionally, Time Out New York called his work the “flat out funniest thing this year,” and the Rocky Mountain News called him “deliciously clever.” He has been a reoccurring panelist on NBC’s Today Show, AXS TV’s AXS Live, Logo’s The Gossip Queens and Fox Reality’s Reality Remix as well as on WDVE in Pittsburgh. He has also appeared on Nightline, 20/20 and Fox & Friends as well as on the TV Guide Channel, “Geek Week Live!” and Los Angeles’s KABC AM. 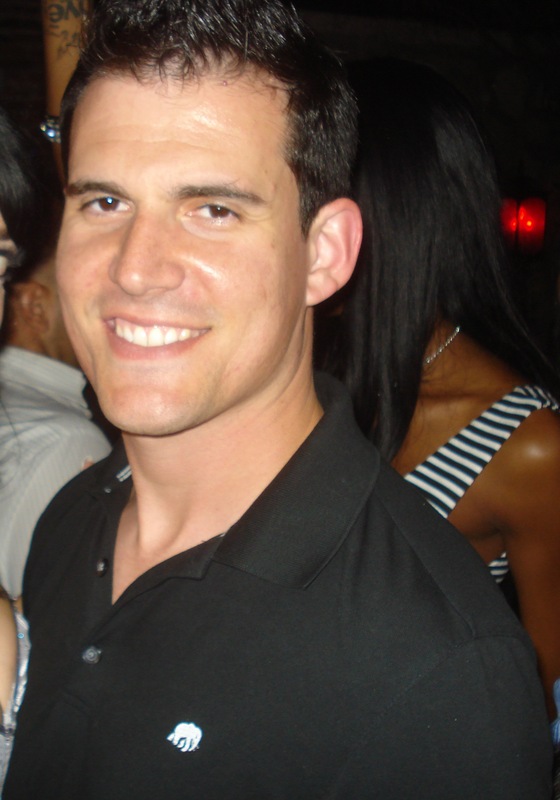 In 2004, Ben co-founded the website TVgasm.com, which Entertainment Weekly labeled as one of the top twenty-five entertainment websites on the internet, and in 2007, he left the site after having sold it to Bunim-Murray Productions. Previously, Ben worked in feature development where he participated in the pre-production of such films as Harold and Kumar Go To White Castle and The Grudge. He also served as a writers assistant on the Fox sitcom Andy Richter Controls The Universe and worked on various television productions such as Late Night with Conan O’Brien, Strangers with Candy, and the WWE. Ben is represented by Grandview and APA. Ben, what is your thoughts on the Casey Anthony trial? I am surprised what people are getting away with for hardships! Although, a two month trial….no wonder Judge Perry offered to get the homeless, when the defense is quibbling over diversity on the jury, and most jurors are being let go due to “hardship”. A guy with 7 dogs, yes let him go. Caretakers, single moms, People cannot afford to give up two months if only paid $30 per day. This is being handled with kid gloves, I applaud the judge. Ben looks AND sounds like Steven. I SAID THIS TO HIM!!!! Ben is way hotter than that weird dude. Ben, I had no idea that you were behind TVgasm!! LOVE that site. Too funny. Hope you are having a fabulous Holiday weekend. FYI your site has been hacked. I was emailed a link to the malicious redirector hidden in your wp-includes directory. Some of your visitors are being forwarded to online pharmacy sites and also attempting spyware infections on their machines. Your directories are browseable by the public. Where the heck have you been lately? Ben, I saw your video with the infant with ear pain that sat in from to you on a plane ride. Are you aware that small children and infant ear canals fill with unbearable pressure when there is fluid in their tiny ear canals? A relatable pain would be to dive down to 25 feet in water with no pressure adjustment. Just a thought as I watched you roll your eyes and think of poor Ben. Ben, just wondering if you’d consider having me on as a guest on one of your next podcasts? email me! Maybe you can’t afford me. I do charge $50/hr for guest appearances. We may have had our disagreement about Ina Garten and that little boy… even though I am an AVID INA fan… regardless I still read your blog on the regular. check this webseries out.. actually very real and interesting. I have a quick question about your blog – could you email me when you have a chance? Thanks you and have a great weekend! Great web site. A lot of useful info here. I’m sending it to some buddies ans additionally sharing in delicious. And of course, thanks on your effort! I’m working with a high-quality gaming site, and we’re looking for equally professional sites with which to cooperate. I was wondering whether it would be possible to buy a sponsored post on your site. We have top-notch writers working with us, who can supply your site with additional appealing and crowd-drawing content. If you’re interested, I’d be glad to send you examples of their work. Alternately, we would be glad to buy an advertising space on your site. Please don’t hesitate to contact me with any question you might have. Hi there, You have done an excellent job. I’ll certainly digg it and personally recommend to my friends. I am confident they will be benefited from this website. Have listened every week to Banter and Watch WhatCrappens and never miss a podcast! So fun and entertaining. Love Ronnie and also Matt and Lisa when they were part of the shows. Please never stop podcasts. Download and listen at work. Love Thursday mornings when I see a new show. Thanks for making the week more fun!! Ben your P90x cast ranking post is EPIC!!! What an awesome laugh that was to read. Kudos. One easy and cost effective way to dominate your local market! Usually, before any purchase people do a bit of research and the fastest way is to do it online. If they search for your business, what will they find? Would you like them to be able to see 5 star testimonials from local consumers? If your answer is yes, then you should definitely give us a try. For only $39 we will publish 10 testimonials on all the major review sites and add your business profile on the sites where you are not showing. Having your name on all these sites greatly increases the chance people will find your business and trust you enough to give you their business. Take advantage of our alerts system and get notifications when a negative testimonial is posted for your company; Free of charge starting with the $99 package. My name is Randi and I’m a producer with a New York City production company. We are casting this new and exciting show about awkward celebrity encounters! I am looking for fun and outgoing personalities who have had a run in with a celebrity that maybe got a little interesting. Example: You were running at the gym next to Jennifer Lawrence and she started talking to you which caught you completely off guard and you fell off the treadmill or you got stuck in an elevator with NeNe Leakes for a really long time and things went awry! I was wondering if I could send you our flyer and maybe you can pass it along to people that would be interested? Maybe you have a friend or family member that has had a similar encounter? We are casting quickly so the sooner we hear from people that better! Any help you can give would be greatly appreciated, thank you! Hi Benjemonius, you HAVE to see the Others! It’s a must see. Love you! International Advice About this outcome. How Will ObamaCare Influence Me?